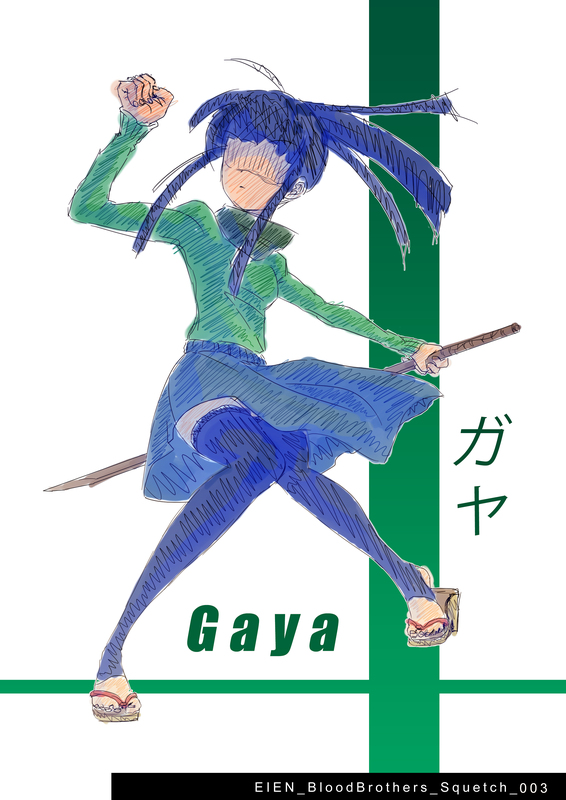 Gaya (13 years) is a young kendoka, her father is the main teacher of the School’s dojo. Gaya is someone who does not forgive weakness, because of her father’s teachings. She shows a very dark appearance which is why she has no friends at all. Gaya’s appearance will eventually change and soften after meeting Shin and Kyu. Even though she’ll remain someone strong. Under pressure, Gaya loses confidence and starts to act only after being pushed in her last entrenchment. She might be less strong than it seems, unlike Aya.